1. 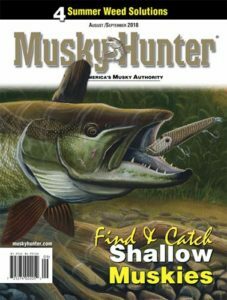 91% of Musky Hunter readers have purchased products advertised in the magazine. 2. 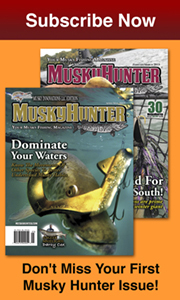 Musky Hunter’s paid circulation has increased nearly 10 percent in the last year and 75 percent since 1989. 3. Musky Hunter’s average press run exceeds 27,000 with a total paid circulation of over 17,000 per issue. 4. Musky Hunter’s actual readership (with 2.93 pass along) is over 50,000 per issue. 5. Musky Hunter’s renewal rates remain over 80 percent! 6. 80% of Musky Hunter’s readers retain their magazine for future reference. 7. 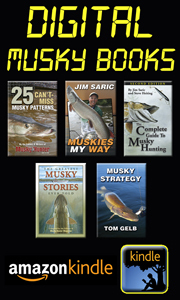 Musky Hunter’s readers have an average household expenditure of over $111,000. 8. Musky Hunter’s readers have an average annual expenditure of over $3,500 on musky fishing products. 9. The Musky Hunter readership represents an annual expenditure of $175 million in the fishing industry. 10. 67% of Musky Hunter’s readers are male in the key consumer age bracket of 25-54. 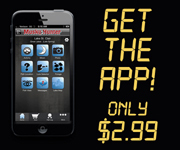 Musky Hunter is also available electronically on Magzter. This clone of the print version includes all print advertisements. Currently more than 250 musky anglers subscribe to the electronic version. This electronic outlet for Musky Hunter increases advertiser reach at no additional cost.